Committed to the development of our international customers, Reddiplex employs a six-strong team to run the export department. Led by Ute Burton, Group Export Manager, the team boasts fluent German, Spanish, French, Polish, Russian and English between them, providing an excellent benefit to our customers overseas. From Chile to Estonia, Canada to South Africa, Russia to New Zealand, we’re working with companies from all over the world, providing them with bespoke, extruded profiles to efficiently progress their projects and specific requirements. Michael Kwiatkowski, our Export Sales Manager will be on our exhibition stand at Fensterbau in March. 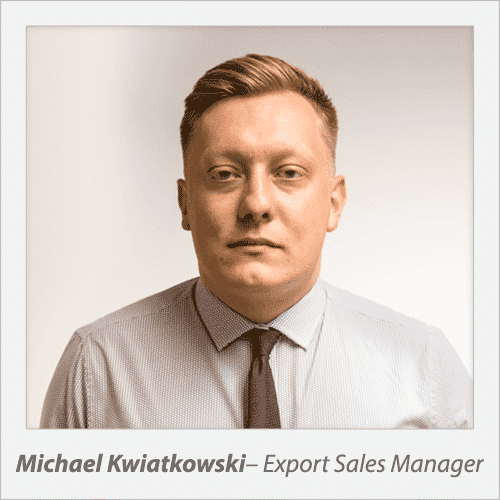 Speaking fluent Polish, Czech, Slovakian and English, Mike’s experience of international trade is extensive, and he looks forward to meeting new and familiar faces at the leading international event for the window industry. A bi-annual, international exhibition that takes place in Nuremburg from 21st to 24th March 2018, Reddiplex will be co-exhibiting with 11 other British companies in the UK Pavilion at Fensterbau. Reaching more than 100,000 trade visitors across the four days, the 2016 event hosted 794 exhibitors from 37 different countries. We will be showcasing our comprehensive plastic and rubber extrusion capabilities to architects, carpenters, window and façade manufacturers and other specialist trades from around the globe, looking to further build our global recognition for excellence in bespoke extrusion. Want to chat about your overseas project?